There are some things you can do with a dead tree book that you can't do with the Kindle app. For example, get a paper cut or flip quickly between two pages. Actually, Amazon has figured out how to make the app do one of those things. Don't fret, your fingers are safe; it's the second one. Amazon's new Page Flip feature lets you jump to a different page while reading, then go back to your previous location. Page Flip finally addresses a long-standing problem with reading ebooks. If you're reading a book that has annotations or makes extensive use of a glossary at the end of the text, good luck not going mad as your progress is constantly synced to the very end of the book. Even if you just want to go back a few pages to check something, it's an arduous process to get there and back. 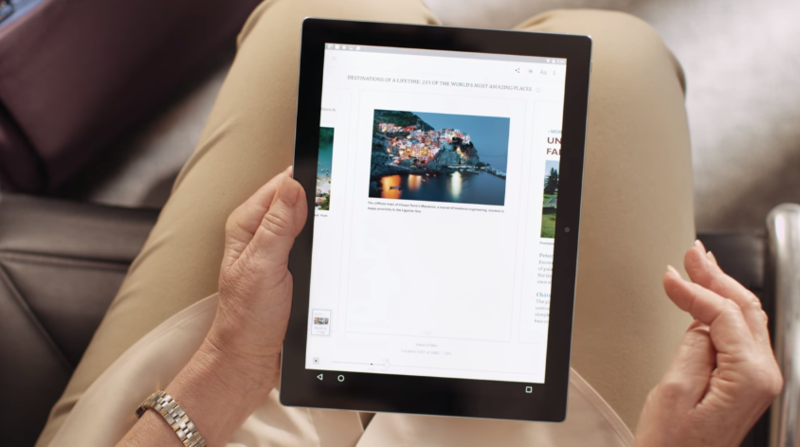 Page Flip automatically saves your place in a pinned button on the edge of the screen, allowing you to move to other pages for a short time. Here's an extremely awkward video that shows how the process works. Amazon says an update to the Amazon app is required for Page Flip to work, and it looks like a new version of the app is rolling out today. That's the first part of the puzzle, but you also need to have a book that supports Page Flip. Amazon says there are "millions" of ebooks with Page Flip already. It will show up in the feature list of a Kindle book if it's enabled. We've got the new version of Kindle on APK Mirror. It jumps from v4 to v7, but Page Flip is the only major change.